This goal is happening! You can read my most recent monthly recap here. Even though only a handful are completely finished, I'm confident I'll be able to meet (or exceed!) this goal by year's end! 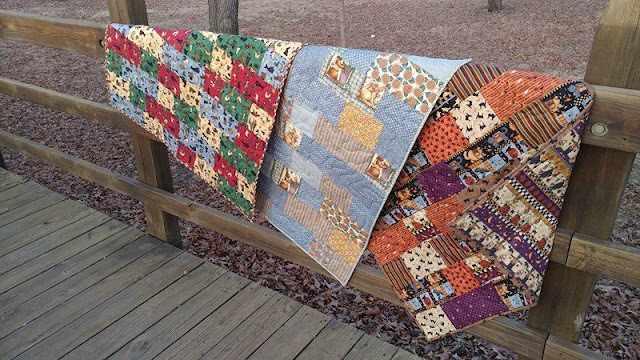 Well, as of today, I've made 31 quilts so far this year! 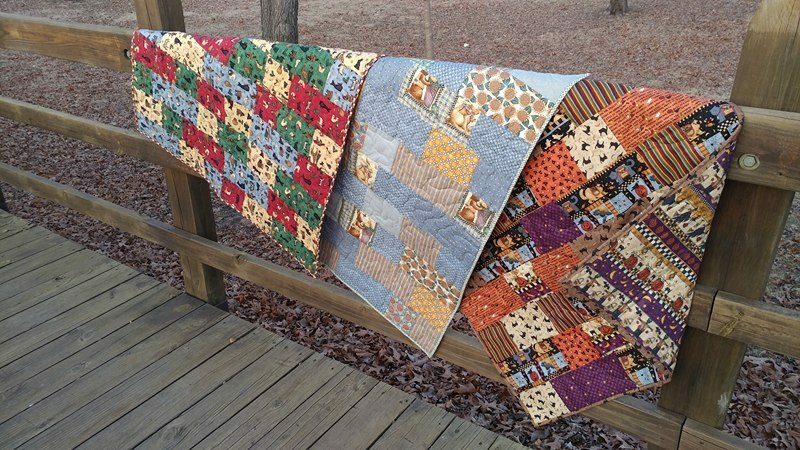 This does include the handful of charity quilts too. I have three quilts with deadlines before the end of the month, so the count is increasing quickly! 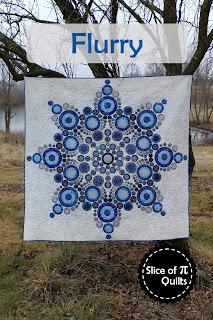 I have released three patterns so far this year (Moonrise, Zest, and Flurry). 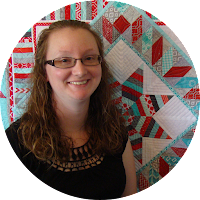 I also wrote the Row by Row pattern for my local quilt shop and had a pattern in Curated Quilts, a pattern in Quilty, and wrote several patterns for upcoming Craftsy kits and two patterns for an upcoming Quilty issue! Well, this is the one goal that seems it will not be met this year! I had planned to attend Fall Quilt Market in Houston, but baby #3 is due in September, so Market will have to wait. 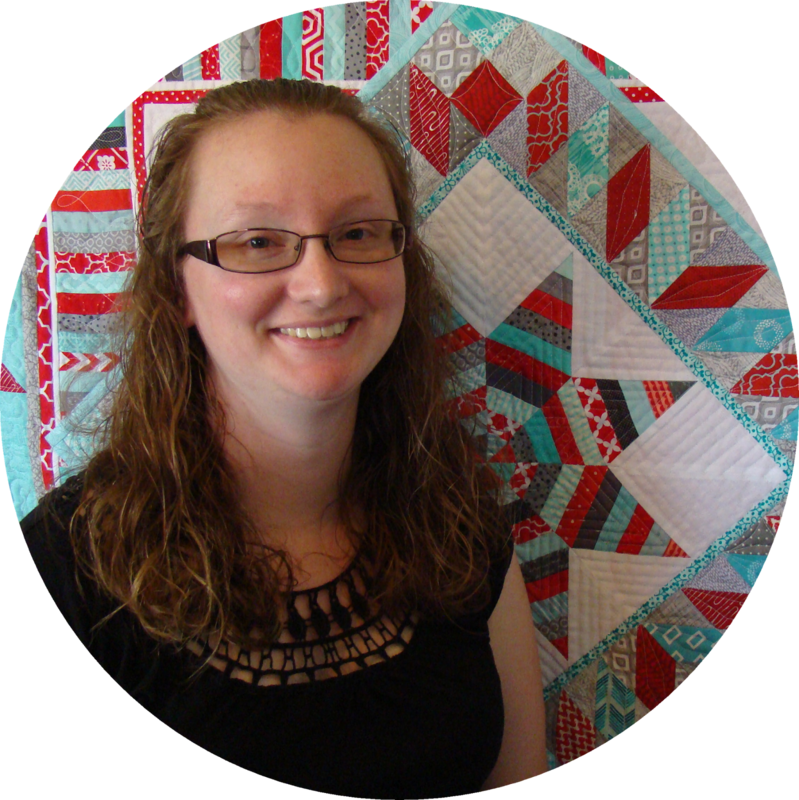 Spring Quilt Market is in Kansas City next year - which is my backyard! I will DEFINITELY be there!! This seemed like the biggest goal at the beginning of the year! BUT, I just bought a longarm a couple weeks ago!! We're still getting acquainted, but I will be sharing all about it soon! I am thrilled to say I have crossed several things off! (Of course I've added a lot too!) 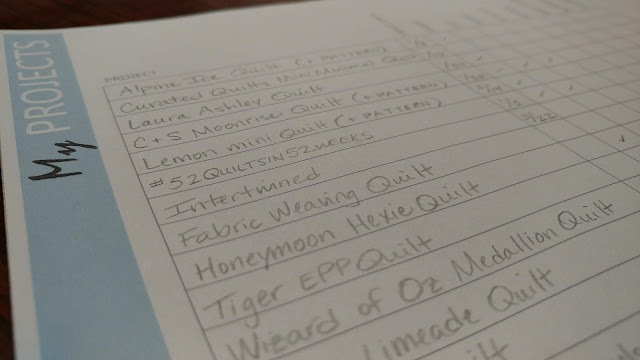 From this list, I finished the Alpine Ice quilt, Curated Quilts minimal quilt, Laura Ashley quilt, lemon mini quilt, Intertwined quilt, and even two maternity shirts (that I have yet to blog about) and my woven jacket. It feels great to finish projects that have been on the list for a long time! So what's in store for the second half of the year? 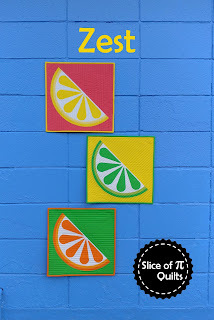 Quilts of course! We are also packing up our house right now to move across the state! We plan to move this weekend, but I still have two deadline quilts to finish before then! Baby #3 will be here before we know it! I'm not sure how that will affect my quilting, but I still have lots of quilts I want to make this year! How about you? How are your 2018 goals coming along? 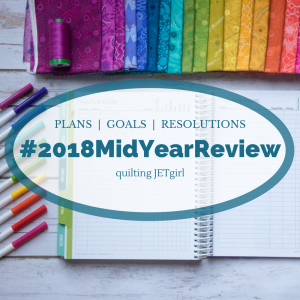 Linking up with #2018MidYearReview at Quilting Jetgirl. You've already done so much! Good luck with the move. I hope you get settled and back to normal life quickly. You are so incredibly active, Laura, and I always look forward to seeing what you are working on or creating. 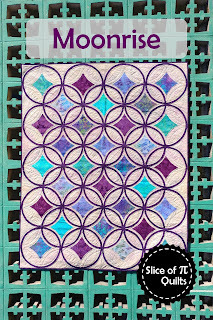 The 52 charity quilts is inspiring and I love your attitude that you can meet or exceed that goal. I wish you the best in finishing up your deadlines and moving. May the second half of 2018 be awesome for you! You are one busy woman! You have gotten a lot done and a lot more to do. Moving and baby is stressful, so be kind to yourself. Letting go is the hard part, and, is what having my son taught me. NO way to know what new life lesson baby #3 is going to teach you. Wishing the best for you & your family in the move and in welcoming #3. (There is a woman on the island in Maine, who has the Umbrella Cover museum - she legally changed her middle name to 3 - makes me laugh every time I think of it). You are amazing! Move, baby, quilts. Sounds busy but great. Just wonderful. Best wishes for the 2nd half of 2018! I am in awe of all you are doing in your busy life. You have said you home school your boys, too, so that is one more responsibility in your life. Congratulations on keeping up with your goals. 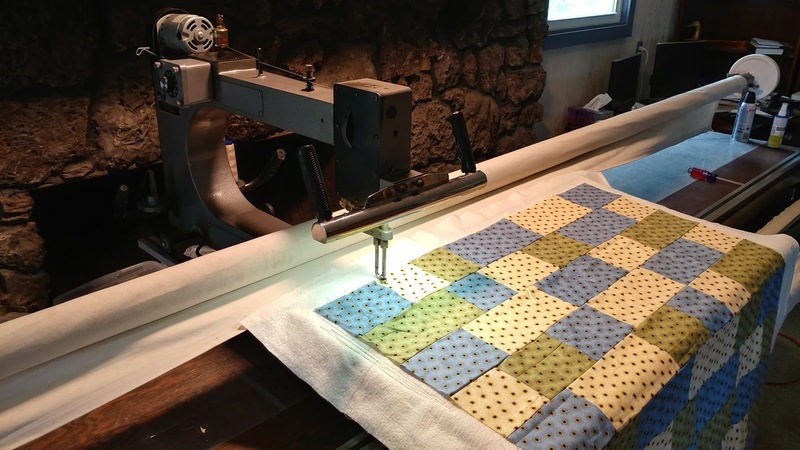 All of your quilts and projects are so creative and I'm glad you've been able to acquire a longarm. I can see that you will put it to good use. Good luck on the move and I hope the new baby will be a great joy to you and your family. Congratulations on Baby number 3. I can't believe how much you accomplish! Just awesome. You are making such great progress in your goals. Congrats on your September baby!